Abdl Akadd Abdulrahman has had a long odyssey. One and a half years ago, the young man from Syria publicly outed himself as gay. He posted a video on Facebook, which exposed him to hostility and threats. As a result, he requested that his residence requirement (Wohnsitzauflage, a german legeslation, that requires refugees to stay in a certain for three years) be moved to a city in another region. When the trial dragged on, he had to run away and was forced to violate the residence requirement for security reasons. After moving back and forth for months because he couldn’t rent his own apartment in another region, the residence requirement was finally completely abolished after he emphatically pointed out his precarious situation in the Foreigners’ Office. According to the Atheis Refugee Relief another procedure must be found with regard to the residence requirement. We support the residence requirement as an instrument to help integration, but in the case of a group that is also subject to persecution here, the residence requirement must be abolished without replacement for these persons, which is also legally possible. In addition, those affected, most of whom are secular and humanist thinkers, have no problem integrating here, as they particularly share our values of freedom. 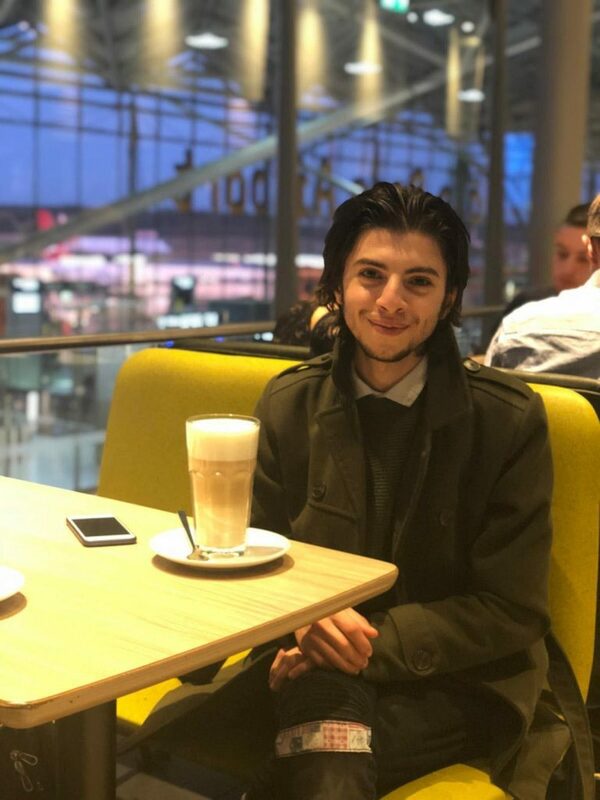 When Yahya Ekhou began the day in his room in northern Germany on the morning of March 1, he had no idea what wave of hatred had come over him on the Internet. Many people demanded his death. Among them was a representative of parliament. The reason for these extreme reactions was a post from Mr Ekhou. There he asked, referring to the train accident that happened in Cairo on 27 February 2019, why a God could do such a horrible thing to so many believers. Since it cannot be excluded that he will also be attacked here in Germany, the Säkulare Flüchtlingshilfe e.V. informed the local police. The police then sent officers to him for inquiry. Yahya Mustafa Ekhou on 16th November 2018 in Berlin. Mr. Ekhou has been known to the Secular Refugee Aid e.V. for a long time as a committed fighter for freedom and human rights. He also participated in the panel discussion “Islam and Human Rights – different cultures, same problems?”. As his application for asylum was rejected, he is currently in the revision process. However, these latest developments once again show why atheists cannot be sent back to their home countries, where they are exposed without protection to Islamic legislation, which often provides for the death penalty for turning away from Islam. In October 2018 the passport of blogger Sherif Gaber was confiscated at an Egyptian airport. He can no longer leave the country. He has also been charged with blasphemy. “ – After many months of trying everything, I decided to make this video. In it, I share many details about my situation and why it’s more complicated than many people think. I also couldn’t share some other more important details because of how dangerous it will be.For example, all the details about booking the flights with the names of the hotels and the ticket numbers that I’ve booked. Such details will reveal a lot of info that some people can track me with. Also, things that happened to me while being interrogated and while in prison but I couldn’t share it. But if one day I left Egypt, I’ll talk about all this publicly with evidence so that you understand more about this country and why I had to leave. “ – Some of you who have contacted me in the past few months know how much I’ve tried and know how unpleasant it is for me to make this video. I already know how hard it’s to get that money and how almost impossible for a country to give me citizenship while I’m in here but I’m doing this for me. I can’t give up now. There’s so much in this life that’s worth living for. “ – I never asked to share, comment or even like any of my videos. But this time I need that. Every support I get and every share gets me closer to freedom. The Saudi citizen Rahad Alkunun wanted to flee from a forced marriage to Australia. On her flight there, she was prevented from continuing her journey in Bangkok, Thailand. Representatives of the Saudi and Kuwaiti embassies intercepted her in the transit area, where she said they confiscated her passport. 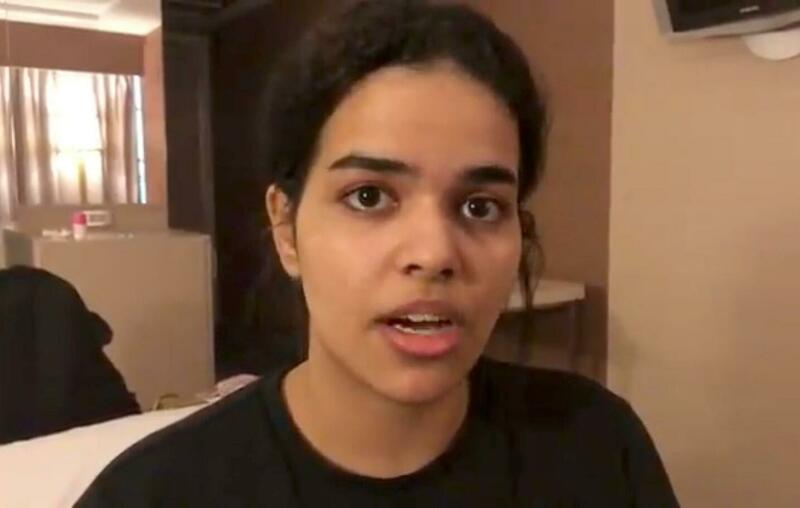 Human rights organisations were alarmed and prevented Ms Alkunun from being repatriated for the time being. The Atheist Refugee Relief has long emphasized the special danger situation of people who want to leave theocratic systems. So these affected people are never really safe. It can happen at any time that a family member commits a so-called “honour murder” against them, also in Germany. For example, we advocate that when ex-Muslim asylum seekers are recognised, a ban on information is automatically imposed and that a residence requirement is waived, according to which fugitives and recognised asylum seekers must be resident in a certain region for three years. This would make it difficult for persecutors to track them down in countries like Germany. Speech by Zineb El Rhazoui, a Moroccan-born Frenchwoman and editor at the satirical magazine Charlie Hebdo. Now she is under police protection in France. She owes her life to the fact that she was not in the editorial office on the day of the assassination. 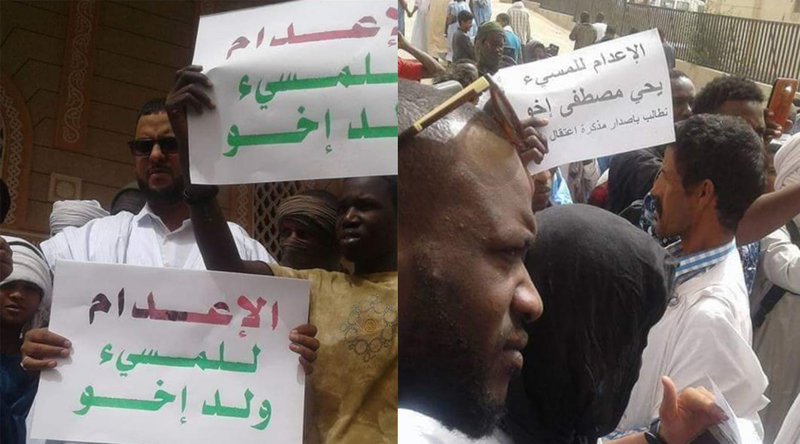 Islam and human rights – different countries, the same problems? On 16.11.2018 the Atheist Refugee Relief e.V. organized a panel discussion entitled “Islam and human rights – different countries, the same problems?” on the occasion of the Secular Week of Human Rights in Berlin. Four guests from four very different countries were invited, but all of them were influenced by Islam. Alia Khannum from Pakistan, Shuruq from Saudi Arabia, Yahya Ekhou from Mauritania, Mahmudul Haque Munshi from Bangladesh told their stories about how they turned away from Islam and how society reacted with incredible violence every time. Moderator Angelika Kalwass confessed that when she became familiar with the topic in preparation for the evening, she felt overwhelmed by the force of what she had heard. In addition, the Islam critic Hamed Abdel Samad was invited, who pointed out that we in Europe must not offer any space to this culture of intolerance and must defend our civil liberties. He said that the European Parliament should make it more difficult to criticise Islam on the pretext of suppressing hate speech. At the end of the event, Mina Ahadi, President of the Central Council of Ex-Muslims, recalled the dangers of a political Islam with regard to her own history. The occasion of the event was the experience of the Atheist Refugee Relief e.V. with refugees who had left Islam. Although they came from many parts of the world, the reaction of the institutions of their home countries and especially of their personal environment was always very similar. We also had to experience that it was often the family pressure that moved people to flee. Religious ideology penetrates into the last areas of private life and controls individuals, especially women, in every detail of their lives. This is what we wanted to address, because the public debate often does not address the influence of religion and instead the cause is to be found in the respective culture. 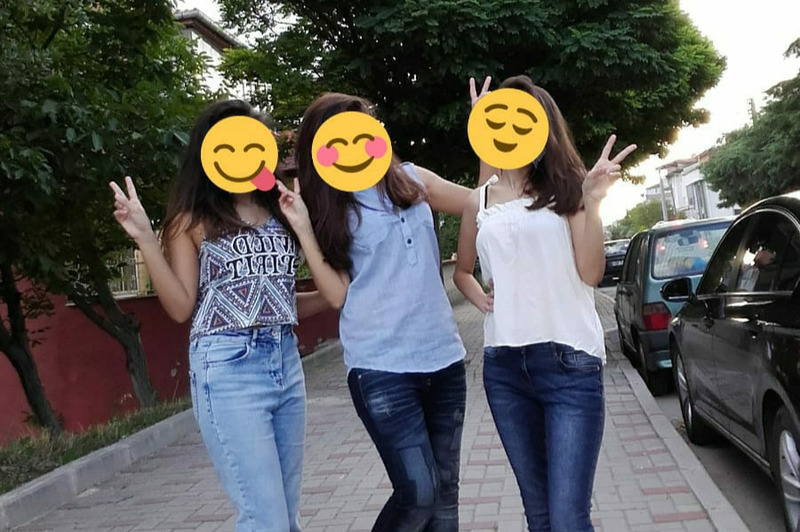 +++ UPDATE: The three sisters are now safe! Many thanks to all who helped!!! 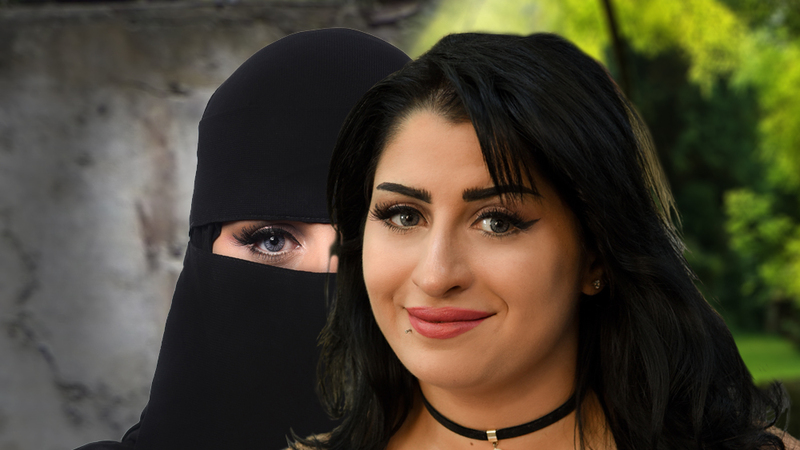 The three sisters Manal, Muna and Nauf have left Islam and are now on the run. They are being persecuted by their family and are currently in great danger because apostasy (leaving the religion) is punishable by death in Saudi Arabia. It is also a great shame for families there, especially when it comes to daughters, and it is therefore very important for their families to take the girls back to Saudi Arabia and bring them to the punishment. Therefore we ask for your support. The three sisters must leave their current location as soon as possible, but they have no financial resources. Please donate to GoFundMe so they can go to a safe region. We had an interview at the “Man Glaubt Es Nicht” podcast – thank you for the platform! Stefan und Dittmar answer questions beginning at ab 0:49 min (German speaking). “The protection of those who fled without faith must also be better ensured in Germany. 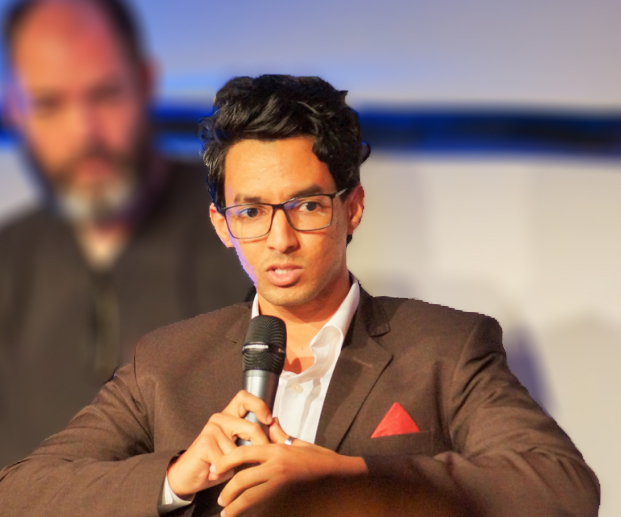 Because they’re not safe here either from access by family or religious fanatics.” During the discussion at the Humanist Day 2018 in Nuremberg, Stefan Paintner (Atheist Refugee Relief) addressed the special situation of religious-free refugees. The public and politicians are not yet sufficiently aware of the problem – all panel participants agreed on this. 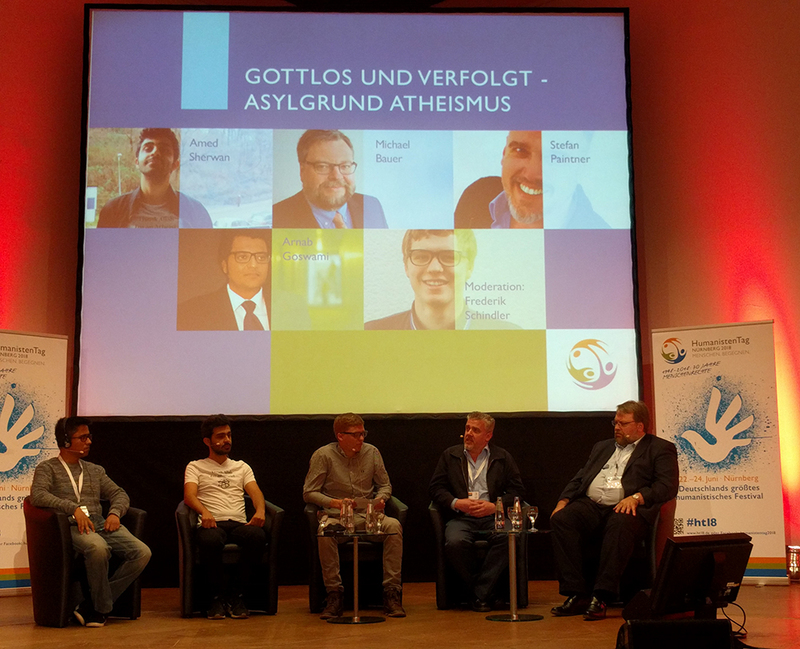 On the topic “Godless and persecuted – reason for atheism”, the Bengali blogger Arnab Goswami, the Iraqi blogger and activist Amed Sherwan and Michael Bauer from HVD Bayern sat on the podium alongside Stefan Paintner. The two bloggers drew attention to the situation of atheists in Muslim countries. They reported on their own very traumatic experiences, which went as far as torture. 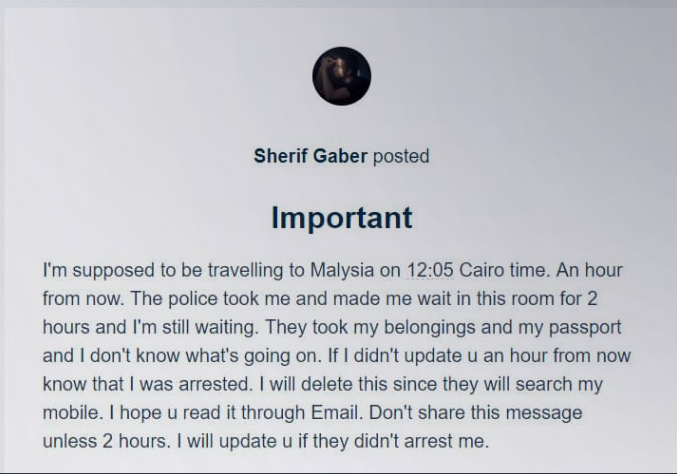 On May 2, Sherif Gaber, a well-known Egyptian blogger, posted the above text. It states that he was in a police station and if nothing more was heard from him in an hour, he was arrested. Under pressure from the Islamist Al-Nour Party, Egypt has for some time now been increasingly taking action against free thinkers who are critical of Islam. 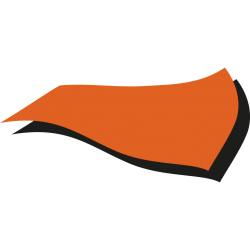 The Al-Nour party has a very fundamentalist attitude towards Islam and received more than a quarter of the votes cast in a radical Islamist alliance in the 2011 parliamentary elections. Egypt has been home to atheist activists for quite some time, who have also had their say in the official media. But in recent years they have been increasingly persecuted.